LEMONT, Ill. (WLS) -- Metra trains on the Heritage Corridor line are not traveling south of Lemont due to a gas leak in the area, officials said. The Lockport Police Dept. 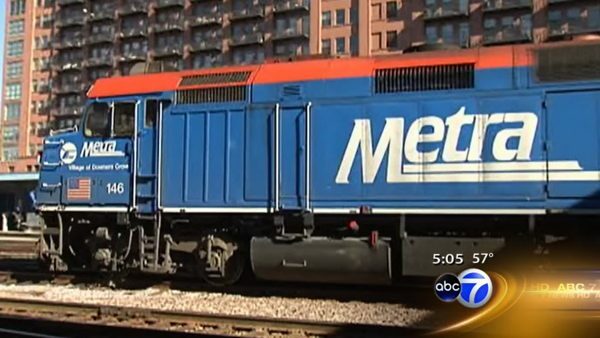 said crews are working to resolve a gas leak on New Ave.
Metra urges passengers traveling to Joliet to consider using the Rock Island District line. Metra is currently working with Pace to provide bus service for those traveling between Lemont and Lockport. For the latest information, visit http://metrarail.com.